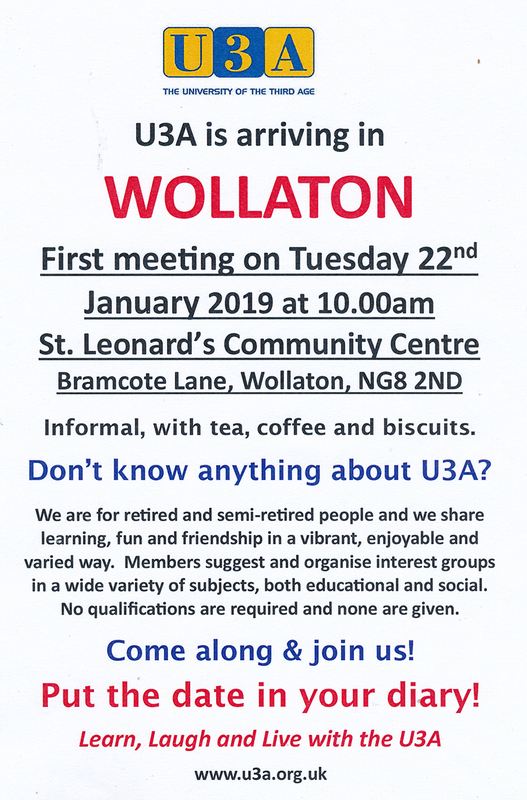 Next Tuesday you will have an opportunity to help get U3A up and running in Wollaton. There will be a number of Interest Groups on offer. Come and join a Group that will be of interest to you. The Members of the Steering Committee are excepting that at least a dozen Interest Groups will be formed. The list of interest groups can be endless. If the Group that you would like to join is not being set up next Tuesday then it is possible for you to suggest one that would interest you and that group could be set up. The ethos of U3A is that it is run by the Members for the Members.